HomeTowne Windows & Doors is your local expert for Milwaukee replacement windows. We feature national name brand products such as Pella, Marvin, Andersen, Integrity, Soft Lite and more. HomeTowne features and displays the area's largest selection of replacement window and door products. Visit our New Berlin showroom today! Pella offers high-quality wood, vinyl and fiberglass windows and patio doors. In addition to beautiful architectural detail, Pella offers their unique shades and blinds inside the glass. Pella also offers high-quality entry and storm doors. HomeTowne Windows and Doors was one of the first Pella Certified Contractors in the Milwaukee area. We can match Pella's products to your needs and our employee carpenters will install them to make your windows look "new' not replaced. Marvin offers aluminum-clad or wood windows and patio doors. With thousands of sizes and many options available, Marvin can achieve any custom look with a unique window or door application. Marvin offers the beauty of wood with the traditional look of vintage windows. Andersen offers vinyl-clad wood windows as well as Fibrex framed products. Andersen's 400 Series offers casements with vinyl wrapped sash to protect them from the elements. The A Series offers beautiful architectural detail with a durable Fibrex Frame. Great quality and unique hardware options along with the beauty of real wood, make Andersen a great choice. Integrity from Marvin features fiberglass frames with your choice of fiberglass or stainable pine interior. Integrity combines the strength and durability of fiberglass with the look of a wood window. Pella Impervia® is Pella's premium fiberglass offering. These windows deliver top-of-the-line performance with the strength of fiberglass. Impervia offers several color options and combinations and has a clean, contemporary look. Combine the renowned Pella quality with the durability of fiberglass for a reliable product to last for years to come. Soft Lite vinyl windows offer the combination of fantastic thermal performance and competitive pricing. Available in four woodgrain laminates as well as beige and white, Soft Lite can give you the "look" of a stained wood product. Available in double hung, casement and gliders, Soft Lite's Kingsroyal patio door is a great compliment to Soft Lite's window offerings. Revere Berkshire Elite from Alside offers a great value in our vinyl window portfolio. Foam enhanced sash, reinforced check rail are all standard With five interior colors, the Berkshire Elite also offers exceptional thermal performance. This is a great value in our vinyl window offering. Thermal Windows have a traditional look and come with "standard" features such as foam filled frame, frame reinforcement and double strength glass. 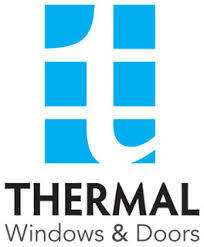 Excellent performance along with competitive pricing make Thermal another nice option in HomeTowne's vinyl portfolio. Based in Wisconsin, Waudena Millwork offers high quality and beautiful entry doors with a variety of styles, glass options, and woodgrains. Available in fiberglass and steel, these doors are beautiful, and have excellent thermal performance. They feature adjustable sills and robust weatherstripping and come in a variety of factory finishes and wood grains. Provia is HomeTowne's choice for storm doors. With piano hinges, dual closers, and a variety of colors and hardware to choose from, Provia products are both durable and beautiful at the same time. Sierra Pacific offers the beauty of wood interior with an aluminum clad exterior. With over 60 exterior colors and unlimited stain or paint options on the interior, Sierra Pacific is a versatile and very affordable wood window replacement option. They are also manufactured right here in Wisconsin! Simonton Prism windows offer outstanding energy efficiency with a traditional look. Multiple woodgrain options and exterior colors, make Simonton Prism vinyl replacement windows a great option for your home. NOT SURE WHICH BRAND IS RIGHT FOR YOU? HomeTowne is here to help you choose the best product and value for your home, style and budget. When we meet with clients, we arrive ready to conduct business and will respect your time. (NO marathon sessions-honest!) Simply fill out the form below, and we’ll contact you shortly to schedule your free in-home or in-store consultation!